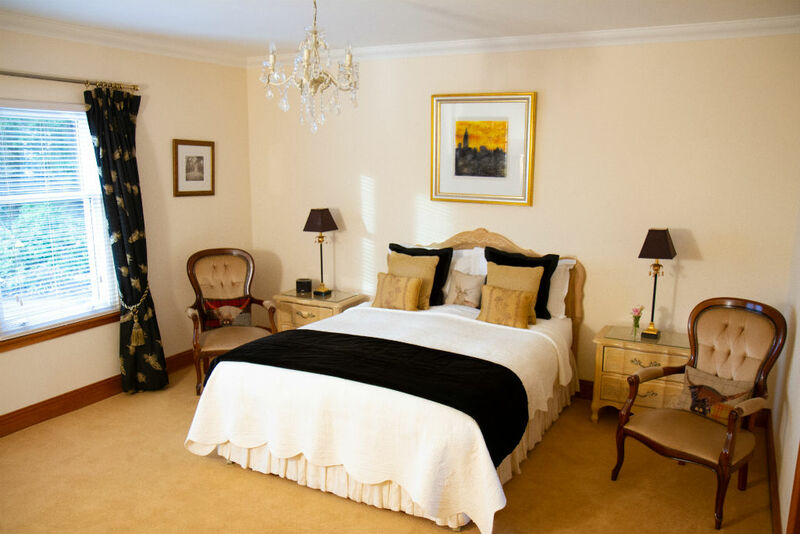 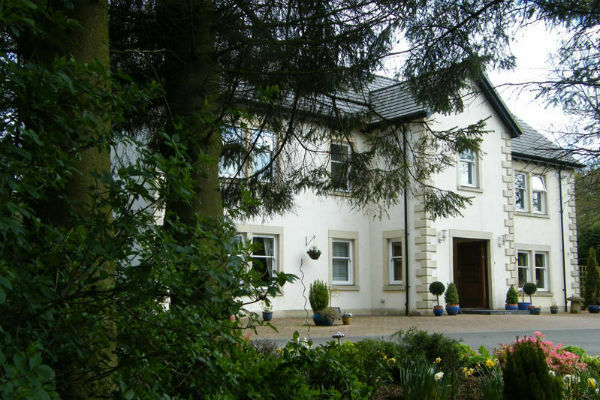 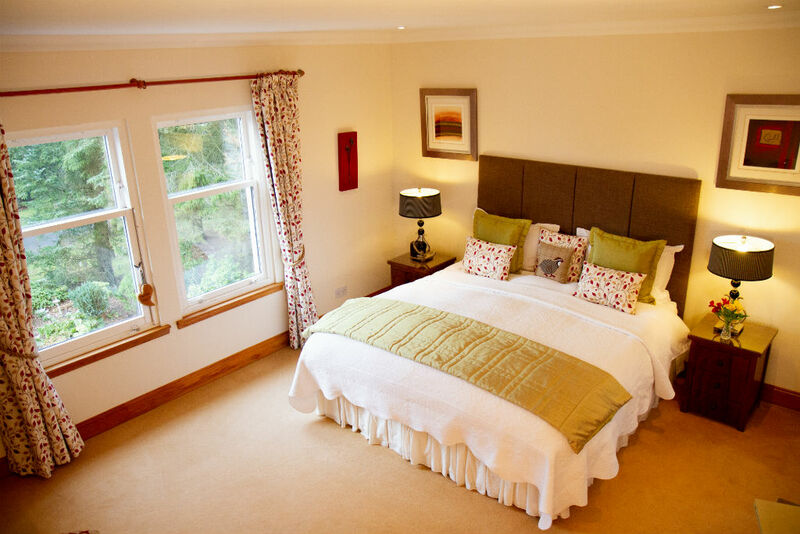 Arden B&B offers 3 individually decorated double en-suite bedrooms with pretty views over the gardens to farmland and the Ochil Hills beyond. 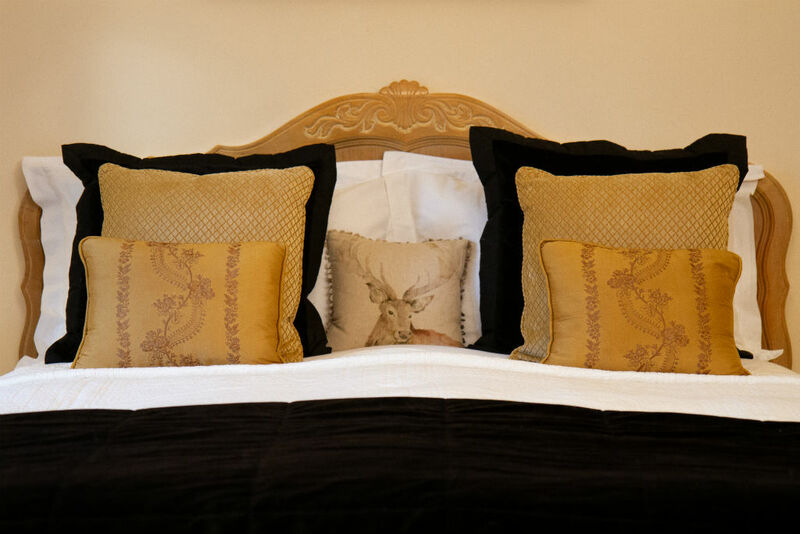 King size and super king sized Harrison handmade beds, topped with Egyptian cotton bed linen and goose down duvets and pillows, offer weary travellers a welcome nights rest. 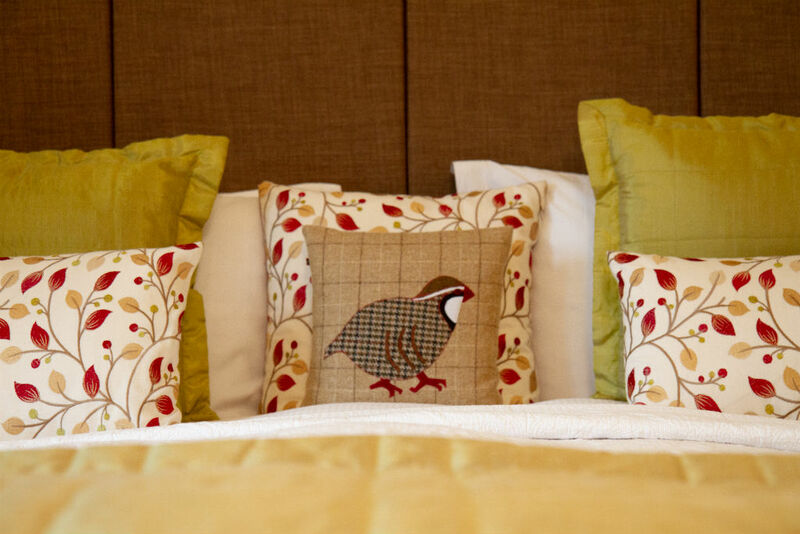 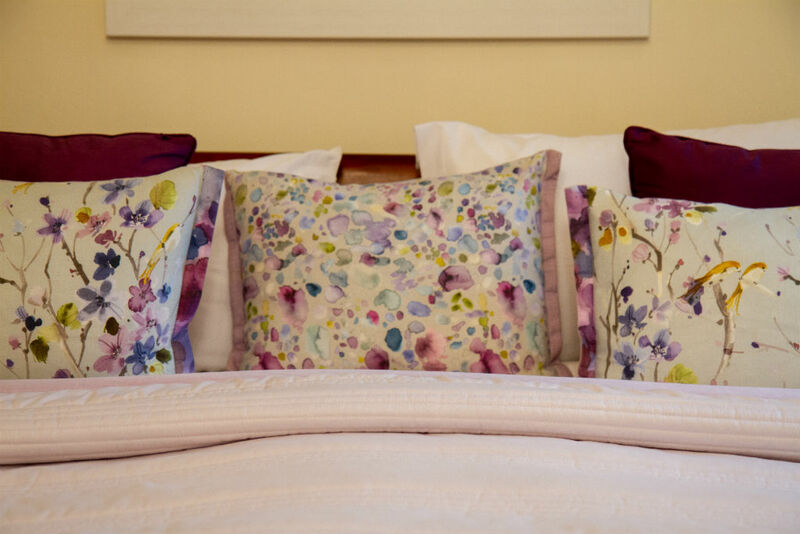 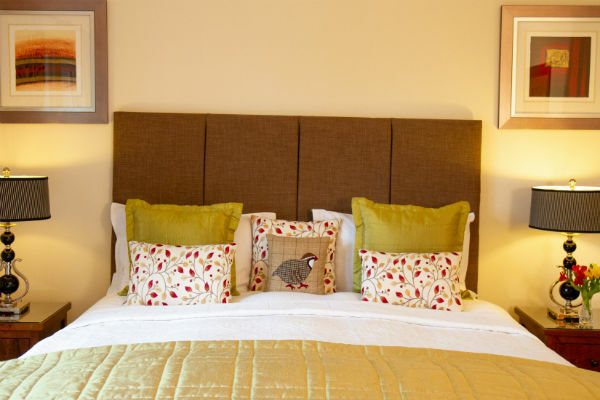 Guests booking bed and breakfast directly are offered the best available price and, as a thank you, complimentary tea and coffee with home baking is served on the day of arrival. 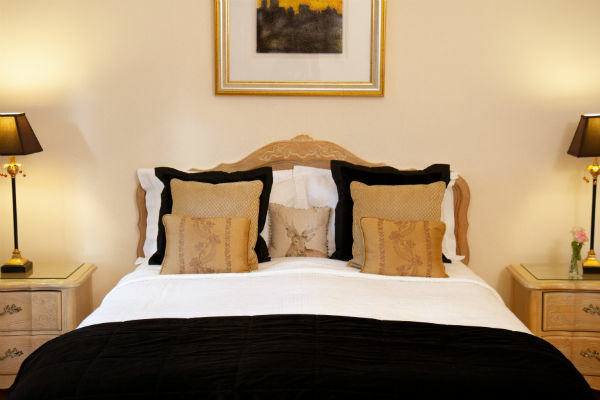 Whist we do not have an alcohol licence, we are happy to provide guests with a variety of glasses and ice upon request. 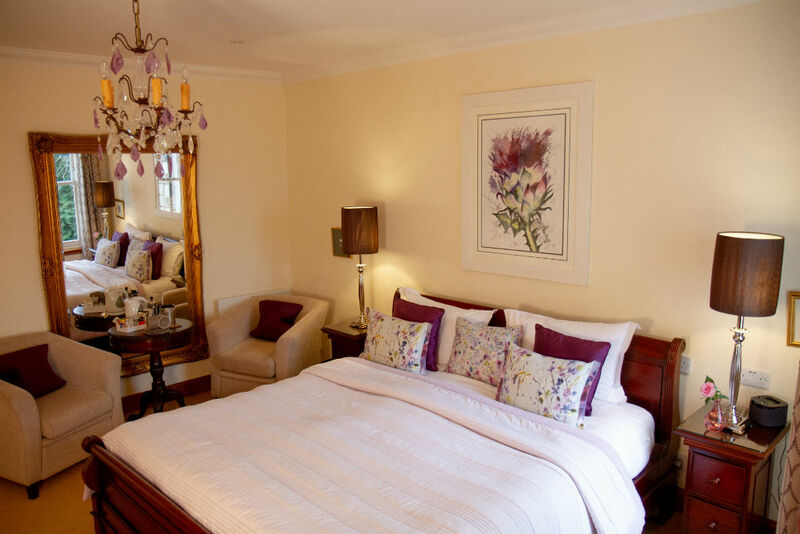 Bottle openers, savoury snacks, and a generous hospitality tray with Scottish biscuits and chocolates are just a few of the extras awaiting guests in their room.